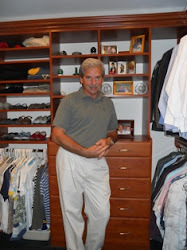 The senior closet and storage system designer with Paradise Storage and Closets gives tips and information about how to organize your closets, kitchen pantry, garage and storage rooms. Paradise Closets and Storage was happy to be chosen to install John Louis Home shelving in all the reach-in closets in a large, custom built home currently under construction in Blue Mountain Beach, Florida. Ventilated shelving will be used in most of the homes numerous closets, including the storage closet for their media room. The John Louis Home system is an excellent choice for media room electronic equipment as the ventilated shelving allows for critical air circulation. Can't Wait to Get Organized? 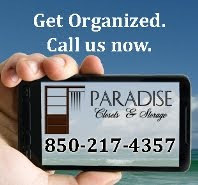 Go shopping at Paradise Closets and Storage.